The definition of class in the Mercedes-Benz sedan lineup, the new Mercedes-Benz S-Class delivers power, luxury, and connectivity in every way. Edmunds goes as far as to call it “one of the finest cars in the world,” and even a cursory glance bears this out. From its integrated front and rear seat massage functionality to footrests, food trays, and every technology feature you could imagine, the S-Class make driving around Napa and Vallejo both a pleasure and a status changer. 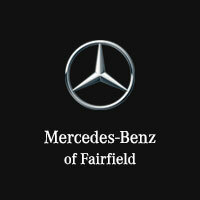 Find the new S-Class for sale now at Mercedes-Benz of Fairfield. When you choose Mercedes-Benz of Fairfield to bestow your full-size luxury sedan upon you, you can be sure that you’ll enjoy a hassle-free and customer-oriented financing process, as well as the most competitive financing and lease rates available. Get pre-approved online, and then drive home to Benicia with a new S-Class sedan today from our dealership in Fairfield.